With Africa having steadily begun the litany of elections billed for 2017, the orderly manner in which Somalia’s elections took place restored a glimmer of hope in those who think only the worst for Africa’s democratic and electoral maturity. With over 20 elections scheduled to take place before December 2017, the African Union Commission (AUC) has identified potential fault lines across Kenya’s election processes, and those in Liberia, as sites for election-related violence. Accordingly, among other things, the AUC has trained approximately 50 long-term election observers to be deployed to Kenya, Liberia and other states – based on empirical evidence that these particular cases could be cause for concern. 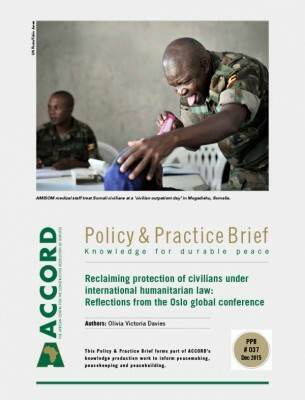 This Policy and Practice Brief (PPB) examines the prospect for a peaceful election in Kenya, and offers insights on what can be done to mitigate any possible election-related violence. With respect to the state of readiness of election management bodies (EMB), the Supreme Court and the government to deliver credible elections, this PPB examines and brings to light challenges that could potentially trigger election-related violence, with the view to make recommendations on how to mobilise key stakeholders to invest in supporting local and under utilised institutions or existing processes and practices capable of mitigating election-related violence. Some of these stakeholders are critical in ensuring the identification of conflict triggers, forewarning about them and preventing their escalation to national crises and conflict. 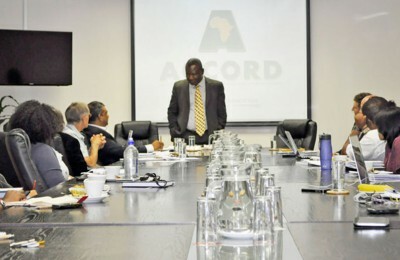 Civil society organisations (CSOs), regional and international organisations should, in the build-up to the 8 August election, effectively co-ordinate their pre-assessment field visits to Kenya so as to identify potential options to avert the likelihood of election-related violence in the country. While Kenya is blessed with a rich cultural-ethnic diversity, paradoxically, it is this same diversity that has been a trigger and accelerator of conflict. Additionally, the manifestation of conflict in Kenya not only affects its 42 million people but has a strong impact on its neighbouring states, given that Kenya is an economic hub in East Africa. Kenya is also a leading centre for industrial production, and Nairobi, its capital, is the regional headquarters for many transnational and international organisations. 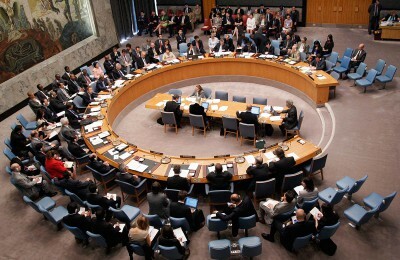 The country also plays a critical role in stabilising fragile neighbouring states, such as Somalia. To this end, Kenya is a leading state actor in the fight against transnational terrorism, especially against Al-Shabaab, and is a member of the Intergovernmental Authority on Development (IGAD) – which, to date, continues to play a critical role in peace processes in countries such as South Sudan. This makes Kenya a critical regional and continental actor insofar as promoting business, security and stability across the continent. Consequently, the potential for instability in Kenya raises concerns far beyond its national borders. These LPCs help prevent community-level disputes, and consequently stop their escalation to national crisis and armed conflicts.2 While Ghana has now elevated this system to the level of a national peace architecture (which was instrumental in ensuring a peaceful political transition following its elections in December 20073) Kenya’s CPCs helped keep post-election violence from spreading to the normally volatile Northern and Coastal provinces during the 2008 contested election outcome. Subsequently, the peace agreement mediated by Kofi Annan mandated such structures for all counties, especially for the Central, Coast, Western, Nyanza and Rift Valley regions. 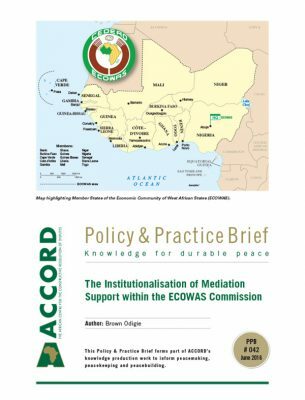 Put simply, the task of peace committees is to promote peace, build trust and create a constructive environment for the peaceful resolution of disputes. Their membership is inclusive of traditional leaders, community heads, women, religious leaders, and representatives from the government and other non-state actors. 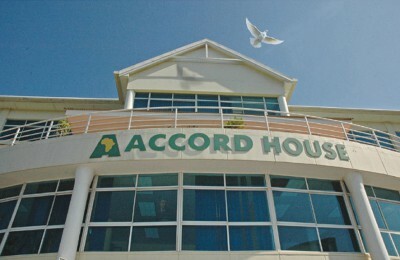 Their success lies in their hybrid nature, which blends traditional conflict resolution mechanisms with conventional ways of managing disputes, such as arbitration and adjudication. Today, the stakes in Kenya are high, and some fear that the irregularities which impaired Kenyan institutions from delivering a credible election process in 2013 have now grown in size and complexity. For instance, while the Orange Democratic Movement’s (ODM) chairperson, Raila Odinga, accepted the outcome of the 2013 results – despite the country’s Supreme Court ruling that it did not have enough time to thoroughly investigate his allegations of malpractice – a similar ruling in the 2017 election might just be the catalyst for violence, especially if the results of the elections are close, and subsequently contested. The growth and potential of such groups to fan the flames of intolerance as Kenya nears election day is likely, thus necessitating urgent measures to ensure appropriate levels of security for presidential candidates, as well as for campaign and election venues. A failure to do so would leave a void in which these vigilante groups could exploit and spread fear among citizens, who may consequently choose not to vote, due to concerns for their safety. Additionally, the shifting web of political alliances, which are often informed by ethnic considerations, remains a key feature in this year’s elections. As in 2007, incidents of election-related violence were observed along ethnic lines in various constituencies. Thus, the formation of coalitions along such ethnic lines would evidently be the cornerstone on which any electoral contestations would be based.8 Since 1963, when Kenya gained independence, each of the four presidents the country has had rose to power based on the strong support of two or more coalitions around the following tribes: AgÄ©kÅ©yu, Luhya, Luo and the Kalenjin.9 The trend has been for political parties keen on securing control of the government to form multi-ethnic political party coalitions around the four main tribes, and then to seek the support of the remaining 38 smaller tribes. Lastly, the dominant issues around which the candidates have defined their contestations must be monitored. Key among these are issues relating to corruption – which the opposition contends is rampant, and is a central challenge standing in the way of broader and more sustainable economic development (whilst benefiting a small elite that maintains ties to the ruling party).10 In addition, Kenya’s troop deployment in Somalia continues to be a key sticking point, with the ruling coalition defending the country’s role in the African Union Mission in Somalia (AMISOM), while the opposition argues that Kenya should change tactics or yield to Al-Shabaab’s demand and withdraw its troops, as this is believed to endanger the lives of its citizens. 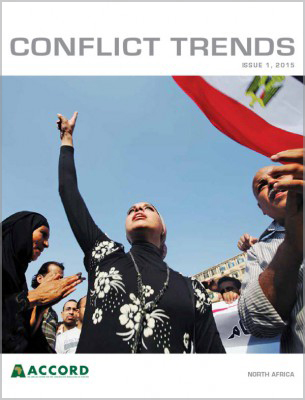 Normative and legal frameworks as a source of conflict? The framework of the Kenyan electoral system was remodelled after the 2007 elections turned violent. Among others, the Constitution and election-related legislation were revised. Part of these reviews saw the expansion of the judiciary’s competence in managing election-related disputes.11 The new legal frameworks bore in mind Kenya’s international obligations, with particular reference to the Bill of Rights, the African Charter on Human and People’s Rights (ACHPR), and the Convention on the Elimination of All Forms of Discrimination against Women (CEDAW), among others. Ahead of the 2017 elections, the High Court ordered parliament to ensure effective gender representation, such that at least one third of all seats are reserved for women.12 Among other elements, this will be tested in the 2017 elections, as Parliament could be dissolved for failing the compliance test established by the court’s interpretation of Kenya’s constitutional and international obligations. Similarly, following the 2007/08 post-election violence, the 2010 Constitution radically restructured power and overhauled public institutions. For instance, it removed some powers from the presidency and vested them in the judiciary, legislature and local government authorities. In addition, it increased the size of Parliament, with an express reservation of more seats for women, who were traditionally under-represented. The constitutional review process also mandated major judicial and police reform, as well as the reform of the political party system, campaign finance and the media, and laid the framework for the establishment of the IEBC. As a result, there are restrictions on changing parties close to the elections. This limits intraparty instability, which could adversely affect election preparations. Those who do not feature in any of the major party lists but who wish to contest the elections are allowed to run as independent candidates. These candidates are required to submit their nominations to the IEBC at least 60 days before the elections. This serves to ensure an inclusive political process, while also giving the IEBC enough time to prepare election materials in the adequate quantities required nationwide. In addition, analysis of the gender responsiveness of the electoral environment in 2013 by the Federation of Women Lawyers found “consistent and systemic exclusion of women in politics, electoral processes, and, consequently, representation”.17 As has been mentioned, the High Court has ruled that should the 2017 elections fail to elect one third of women in legislative seats, Parliament risks nullity or dissolution. Finally, there are some unanswered questions regarding the constitutional requirement of the Supreme Court to dispose of challenges to the presidential election within 14 days. It was specifically this issue that prevented the court from adjudicating the Raila petition on its merits, having decided that there was not enough time. Others are of the view that the Kenyan judiciary plays a critical role in election-related dispute management – and recall that the courts’ refusal to have the presidential petition adjudicated was one of the triggers of the 2007 post-election violence.19 Thus, the prospect of going into the 2017 poll with the Supreme Court in its current state is profoundly unsettling. It necessitates the intervention of a high-level mission, led by the African Union (AU) and the East African Community (EAC) (including judges from the African Court on Human and Peoples’ Rights), to assess the judiciary’s capacity to render justice in a timely manner, so that the citizens’ confidence in these national institutions is not further eroded. The importance of assessing Kenya’s readiness for the August 2017 elections is timely, and an assessment of the readiness of EMBs to deliver free, fair and credible elections – and to further manage any potential conflict – is critical. This is particularly important as a means of putting in place stopgaps for any challenges that may undermine the electoral process – and, by extension, Kenya’s stability. 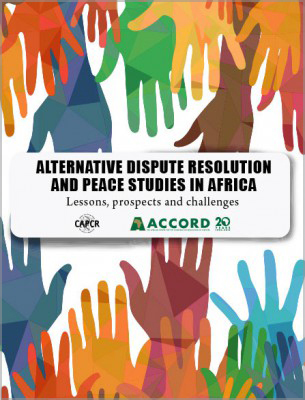 As it highlights legislative steps that have been undertaken to prevent a repeat of the 2007 post-election violence, this section examines the readiness of the IEBC, the CPCs and the Supreme Court for the 2017 elections, while unearthing certain challenges that require AU and African CSO interventions to help Kenya mitigate potential incidents of election-related violence. The 2010 Constitution established the IEBC and replaced its discredited predecessor, the Electoral Commission of Kenya (ECK), which had presided over the disputed 2007 election and triggered politically motivated ethnic violence that resulted in the deaths of over a thousand Kenyans. Mindful of the need to ensure equal political representation across boundary lines, the management of elections and boundaries become the mandate of the IEBC. Inadequate time also prevented the IEBC from addressing the results of human error. For example, it was only discovered on the day of the 2013 general elections that ballots in four wards were misprinted. The number of staff employed by the IEBC to administer voting procedures in large polling stations was also not adequate. As a result of this staff shortage, late counting procedures were required. Most Kenyans thought the IEBC was independent, fair and lived up to its expectations, but after the announcement of the results, people and political parties started questioning the credibility and impartiality of the IEBC.23 They opined that the IEBC was biased in favour of the Jubilee Coalition, constituted of The National Alliance (TNA) and the United Republican Party (URP). The IEBC also maintained a website that provided information to the public about the 2013 elections. However, the website did not meet expectations, and without proper communication from the IEBC regarding this technological failure, suspicions were rife about whether this was intentional or accidental. Ahead of the 2017 elections, it is unclear whether all or some of the above challenges have been handled, and what measure of confidence exists between the IEBC and the leading candidates, on the one hand, and the IEBC and voters, on the other. It is therefore necessary for an AU assessment mission to ascertain progress, and to work with Kenyan EMBs and local infrastructures for peace to minimise the risk of a repeat of 2007’s post-election violence. Lastly, Article 10 of the Political Parties Act (2011) recognises coalition or party alliances. This means that individuals may constitute themselves into groups and compete as a coalition under arrangements acceptable to them. In 2013, the Jubilee Coalition of Uhuru Kenyetta and his one-time rival, William Ruto, defeated Raila Odinga and Kalonzo Musyoka’s Coalition for Reforms and Democracy (CORD) in the general elections by a margin of 7.8%. Today, to boost its chances, CORD’s 2013 leadership has rebranded and renamed the coalition the National Super Alliance (NASA). Similarly, it is unclear whether Uhuru and Ruto will accept an election defeat as representative of the will of the people, following their 2013 victory with the same coalition. Whatever the outcome of 2017’s election, the strength and relevance of coalitions in modern politics will be tested. In Kenya, it is important for all intervening stakeholders to encourage the leading coalitions not just to accept election outcome, but also to congratulate the victor and mobilise their members or supporters to do the same. According to Macharia, “an upsurge of criminal gangs, political thugs and militias has been noted in Kenya, raising fears of bloodshed in [the upcoming] elections.”28 These gangs have emerged with the endorsement of certain politicians for their protection, to ensure victory and to cause trouble for opponents. Troubling as this might be for Kenya, it is not easy for the president – as a candidate in the forthcoming elections – to advocate for the removal of these gangs without him being seen as interfering. 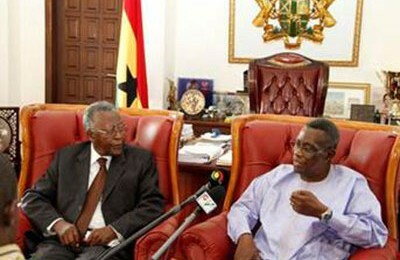 It is therefore important for impartial external interlocutors to undertake a study to understand these vigilante groups, and to marshal resources on how best to address or mitigate any potential violence emanating from their activities. 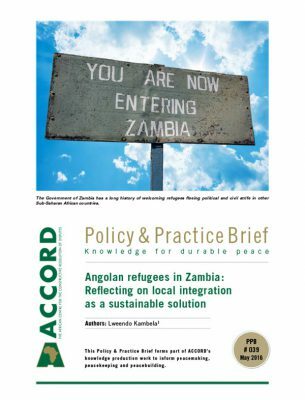 This could be closely followed by targeted peacebuilding interventions that are geared towards curbing the narratives of fear and intolerance that are prevalent ahead of the 8 August elections. This will boost the confidence of people and their representatives in institutions dealing with the elections. As previously discussed, although the 2010 Constitution expanded the powers of the Supreme Court on election-related matters, its handling of petitions resulting from the 2013 elections have, according to some jurists, failed the legal test.29 The expectation that the Supreme Court would deal with election-related appeals within 14 days seems unreasonable, and the 2013 elections proved just that. However, the court’s declaration that there was not enough time to properly examine and dispose of Raila Odinga’s petition would be problematic if it repeated itself. To avoid this, the courts need to consider expediting election-related appeals to curb the anxiety often shrouding them. That such anxieties often easily culminate in violence cannot be overstressed. 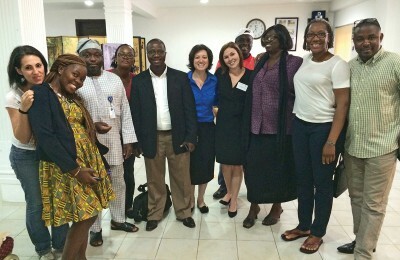 Consequently, the courts remain a critical institution – not just for election dispute management, but for conflict prevention. At this time more than any other, this role requires that the Supreme Court is well resourced and can effectively commit to handle whatever appeals may arise from the August 2017 elections – and in a manner that assures voters as well as political candidates of a free, fair, credible and independent ruling in election-related disputes. This requires a high-level mission, including judges from the African Court, to assess the judiciary’s capacity to render justice in a timely manner so as not to further worsen voter confidence. It also requires that the mission conducts a confidence-building exercise between the judiciary, the IEBC, political candidates and the media. While free, fair, credible and regular elections need to be celebrated as the maturing of democracy in Africa, ongoing efforts to ensure that these processes are not negatively impacted by the behaviour of key contenders need to continue. In Kenya, following the 2007/08 post-election violence that threatened the social fabric of one of East Africa’s more stable democracies, measures to minimise the risk of such violence have been put in place since 2010. Elections have become a time to test the resilience of these institutions, and the forthcoming 2017 Kenyan elections are no exception. Parliament must ensure that it legislates the outstanding regulations ensuing from the 2010 constitutional reviews, the 2013 amendments to the electoral laws and the court decisions regarding gender, while also paying attention to the period of time the Supreme Court takes to review appeals. Failure to ensure the coherence of this process could expand the fault lines from which election discontent surges. The government needs to ensure the security of all electoral candidates, as well as their supporters who may be vulnerable to attacks. Failure to provide such security opens a security vacuum that vigilante groups can exploit under the guise of protecting candidates whom they support. If coordinated well and in an effective manner, state security forces can de-escalate any prospects of dissent that vigilante groups try to exploit to intimidate and cause psychological and physical injury to electoral candidates. The government must support the independence of, and avail adequate resources to, the IEBC, as this will strengthen the IEBC’s ability to organise credible, free, fair and transparent elections that are representative of the will of the people, as expressed through the ballot. The government should support the IEBC in its communication to the public. This would ensure that information communicated by the IEBC, security agencies and groups working on early warning has a clear format and timing, to both the public and party officials, to build confidence in the process. A strong AU leadership is required to encourage all contestants not just to reject inflammatory language, but to accept election results once they are declared at the pooling stations; and confirmed by the IEBC; as well as to mobilise their supporters to accept the outcome as a reflection of the will of the majority. CSOs should support CPCs in identifying pockets of conflict indicators that are related to the elections, and address them. CSOs can provide training were necessary, and help strengthen local capacities to efficiently deter or manage disputes that could lead to the escalation of violence. CSOs should also establish a coordination mechanism between the CPCs and the EMBs, and work closely with the police to report behaviour that threatens or intimidates citizens for their political leanings. 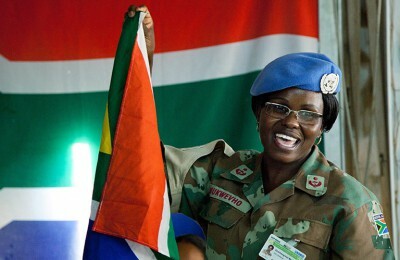 Such organisations can lend their support to African-led initiatives in managing and preventing conflict. They can also provide funding and training to CPCs, EMBs, the media, political party communication leads and secretariat staff on understanding the rationale of the electoral process structures, and encourage them to utilise all channels available to them to verify information and challenge whatever is of concern to them without recourse to violence. Such training would provide local stakeholders with the skills or expertise that they need to analyse and identify early signs of conflict, foster dialogue and accelerate the response by competent EMB authorities. 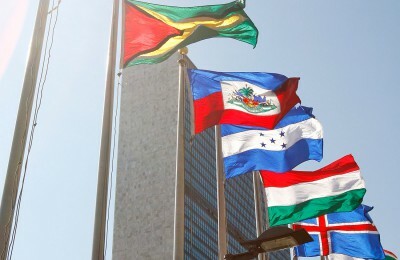 United Nations Development Programme (UNDP) 2011. 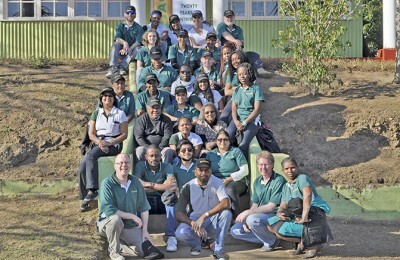 District Peace Committees. UNDP [Internet]. 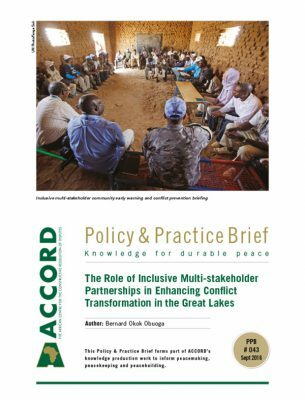 Available from: <http://www.ke.undp.org/content/kenya/en/home/operations/projects/peacebuilding/districtpeace.html> [Accessed 12 June 2017]. Awindor-Khanyirige, W.A. 2014. 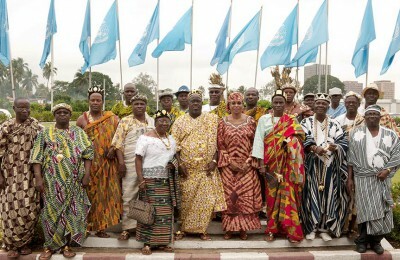 Ghana’s National Peace Council. 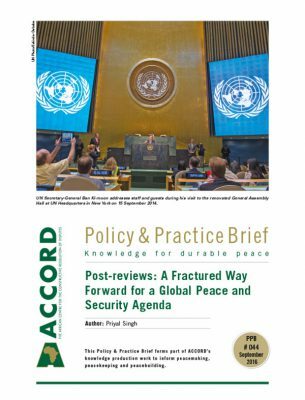 Global Centre for the Responsibility to Protect, Policy Brief, August 2014. Schulz-Herzenberg, C., Aling’o, P. and Gatimu, S. 2015. The 2013 general elections in Kenya: The integrity of the electoral process. Institute for Security Studies [Internet]. Available from: <https://www.files.ethz.ch/isn/188907/PolBrief74.pdf> [Accessed 6 June 2017]. Andago, M. 2014. The technological face of Kenyan elections: A critical analysis of the 2013 pools. Kenya Law [Internet]. Available from: <http://www.kenyalaw.org/LVI2014/docs/Technological_Face_of_Kenyan_Elections.pdf> [Accessed 9 May 2017]. Walubengo, J. 2017. The case of Kenya: Will technology deliver a free and fair election? The Conversation [Internet], 19 March. Available from: <http://theconversation.com/the-case-of-kenya-will-technology-deliver-a-free-and-fair-election-74319> [Accessed 9 May 2017]. Kisika, A. 2017. Uhuru: Politicians are forming militia groups for elections. The Star [Internet], 23 March. Available from: <http://www.the-star.co.ke/news/2017/03/23/uhuru-politicians-are-forming-militia-groups-for-elections_c1529882> [Accessed 12 June 2017]. Khadiagala, G. 2010. 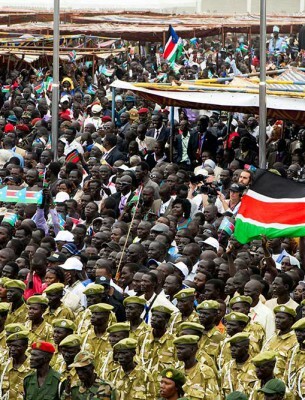 Political movements and coalition politics in Kenya: Entrenching ethnicity. 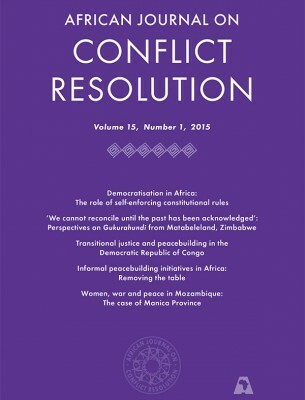 South African Journal of International Affairs, 17 (1), pp. 65–84. 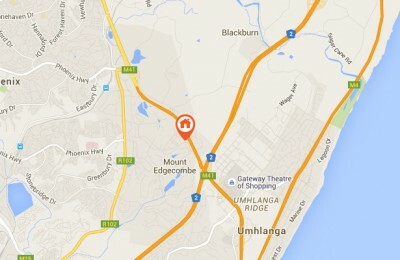 Kagwanja, P. and Southall, R. 2010. Introduction: Kenya – A democracy in retreat? In: Kagwanja, P. and Southall, R. Kenya’s uncertain democracy: The electoral crisis of 2008. New York, Taylor & Francis. Standard Team. 2015. 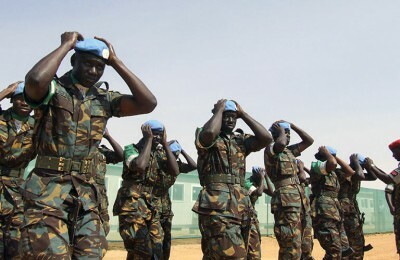 Should Kenyan troops pull out of Somalia? Standard Digital [Internet]. 16 April. 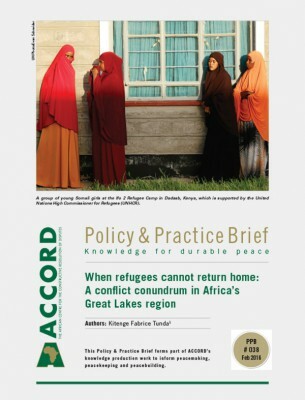 Available from: <https://www.standardmedia.co.ke/article/2000158496/should-kenyan-troops-pull-out-of-somalia> [Accessed 9 May 2017]. European Union Election Observer Mission to Kenya 2013. General elections 2013: final report. EU [Internet]. Available from: <www.eods.eu/library/eu-eom-kenya-2013-final-report_en.pdf> [Accessed 9 May 2017]. Wood, S. 2017. Kenya’s High Court: one third of lawmakers must be women – or else. 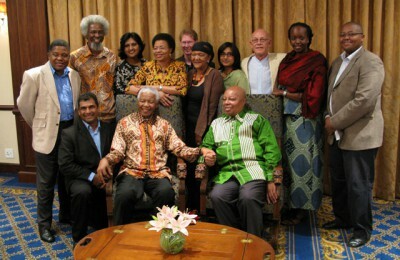 Global Citizen [Internet], 10 April. 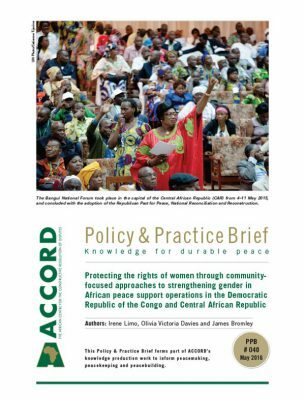 Available from: <https://www.globalcitizen.org/en/content/a-huge-win-for-gender-equality-kenyan-parliament-i/> [Accessed 9 May 2017]. Mbaku JM. 2017. Foresight Africa 2017: Election Spotlight on Kenya. 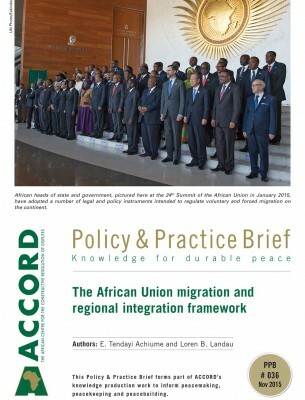 Available from: <https://www.africa-in-focus/2017/01/30/foresight-africa-2017-election-spotlight-on-kenya/> [Accessed 9 May 2017]. Electoral Institute for Sustainable Democracy in Africa (EISA) 2106. Kenya: electoral law and reform. EISA [Internet]. Available from: <https://www.eisa.org.za/index.php/eisa-kenya-electoral-law-reform> [Accessed 9 May 2017]. Government of Kenya 2017. The Kenya Gazette, Vol CXIX No. 35. [Internet]. Available from: <http://kenyalaw.org/kenya_gazette/gazette/download/Vol.CXIX-No_.35_.pdf> [Accessed 14 July 2017]. Mwere, D. and Gathara, P. 2016. Is IEBC really prepared for the challenge of the 2017 elections? Weekend Star Siasa [Internet], 12 March. Available from: <http://www.ipsos.co.ke/NEWBASE_EXPORTS/IFMIS/160312_Weekend%20Star%20Siasa_4_afb5f.pdf> [Accessed 8 May 2017]. Federation of Women Lawyers (FIDA), Kenya. 2013. Key Gains and Challenges: A Gender audit of Kenya’s 2013 Election Process available from <https://www.ndi.org/sites/default/files/Kenya-Gender-Audit-2013-Electoral-Process.pdf> [Accessed on 7 July 2017]. Maina W. 2013. Verdict on Kenya’s presidential election petition: Five reasons the judgment fails the legal test Available from: <http://www.theeastafrican.co.ke/oped/comment/Five-reasons-Kenya-Supreme-Court-failed-poll-petition-test/434750-1753646-5dfpys/index.html> [Accessed 21 July 2017]. Juma, D. 2010. The normative foundations of constitution-making in Kenya: The judiciary past, present and future. 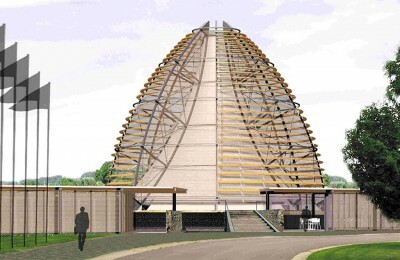 In: Murungi, C.N. (ed.) Constitutional change, democratic transformation and the role of the judiciary in government reform: questions and lessons for Kenya. Nairobi, International Commission of Jurists, Kenya Section, pp. 215–240. Independent Electoral and Boundaries Commission (IEBC) 2017. The mandate. IEBC [Internet]. 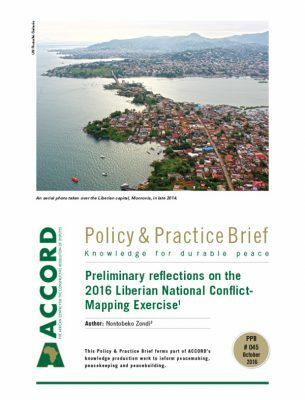 Available from: <https://www.iebc.or.ke/iebc/?mandate> [Accessed 7 July 2017]. Schulz-Herzenberg, C. et al. 2015. op. cit. Mutiga, M. 2017. Kenya: Avoiding another electoral crisis. International Crisis Group [Internet], 3 March. 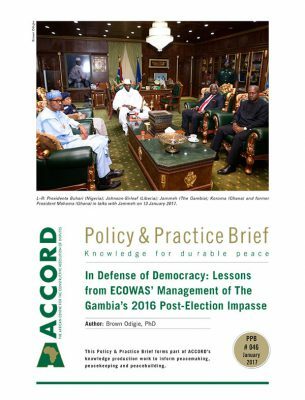 Available from: <https://www.crisisgroup.org/africa/horn-africa/kenya/kenya-avoiding-another-electoral-crisis> [Accessed 6 June 2017]. Allison, S. 2017. Think again: Kenya’s opposition needs more than a coalition to win the polls. Institute for Security Studies [Internet], 6 February. 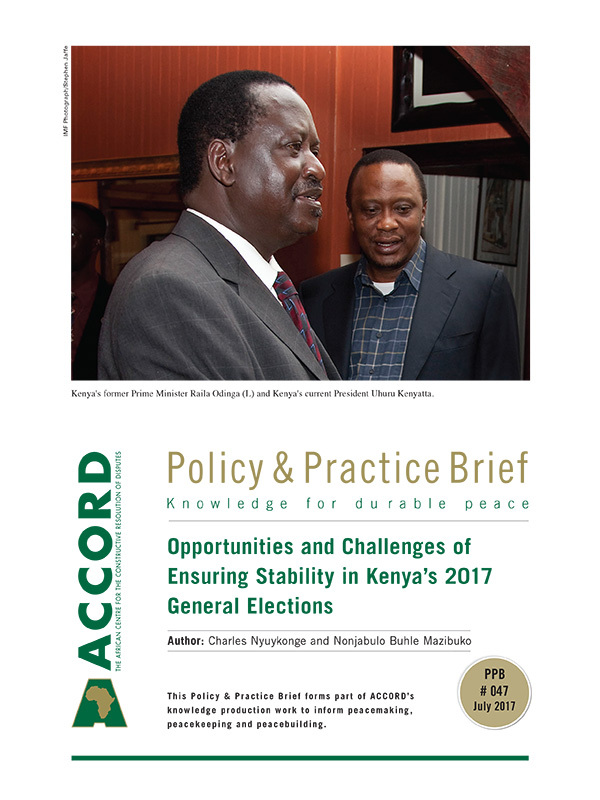 Available from: <https://issafrica.org/iss-today/think-again-kenyas-opposition-needs-more-than-a-coalition-to-win-the-polls> [Accessed 9 May 2017]. 2 May. Available from: <http://www.nation.co.ke/news/politics/Nasa-issues-ultimatum-over-presidential-election-results/1064-3911444-97uwxd/> [Accessed 12 May 2017]. Sifuna, E. 2017. Verdict brings to an end manipulation of votes during tallying. Standard Digital [Internet]. Onyango, R. 2010. 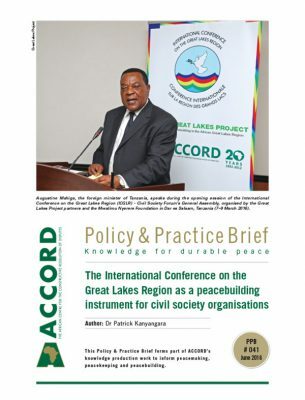 Peace committees in Kenya: A mapping report on existing peace building structures. [Internet]. 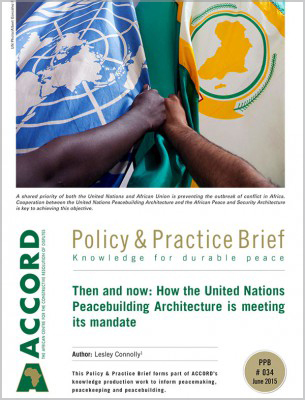 Available from: <http://www.academia.edu/18023625/Peace_Committees_in_Kenya_A_mapping_report_on_existing_peace_building_structures> [Accessed 9 May 2017]. Macharia, M. 2017. Kenya: Blood flows ahead of Kenya poll. 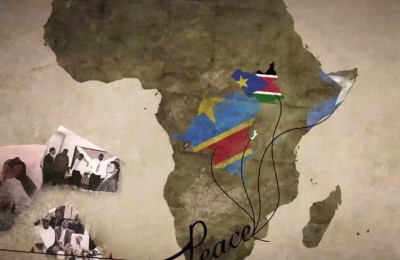 All Africa [Internet], 24 March. 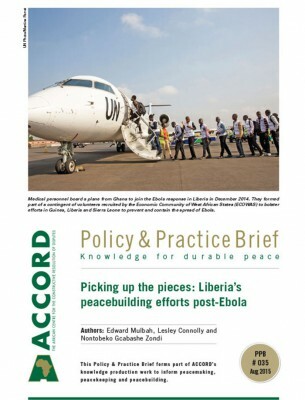 Available from: <https://allafrica.com/stories/201703240127.html> [Accessed 14 July 2017].